2010 Chula Vista Rotary Club Fundraiser at McMillin Realty Trophy Truck 31 race shop. Action items included a ride with Andy McMillin in his trophy truck, Golf with a PGA Pro Mike Maio and more. Proceeds from the event will benefit the Kiwanis club that provides bikes to 200 children in Chula Vista during December. SATURDAY, SEPTEMBER 25, 2010 :: 9:00 a.m. – 5:00 p.m. 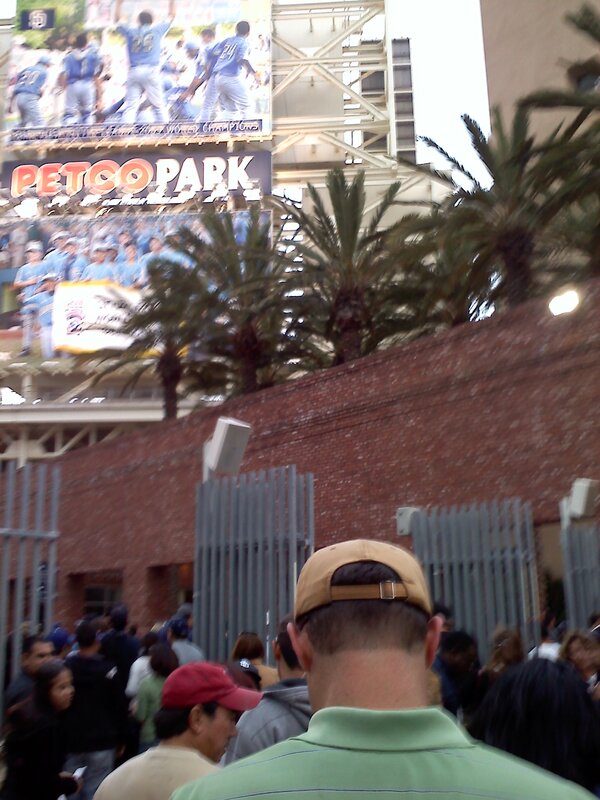 Walking into Petco Park to watch the Dodgers take on the Pads… looks like a capacity crowd! Tonight theMcMillin Realty Trophy Truck #31 race team is here so this should be eventful.